MUSIC - meherbabatravels jimdo page! 1959, Guruprasad, Pune, India. 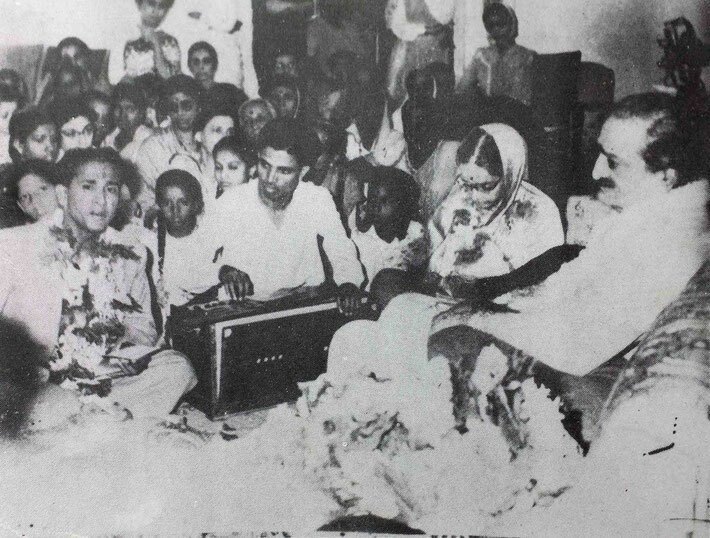 Meher Baba is officiating at Madhusudan ( front left ) and Subhadra ( lady seated next to Baba ) their wedding ceremony. 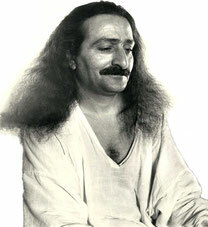 Pratap Ahir is playing the harmonium. 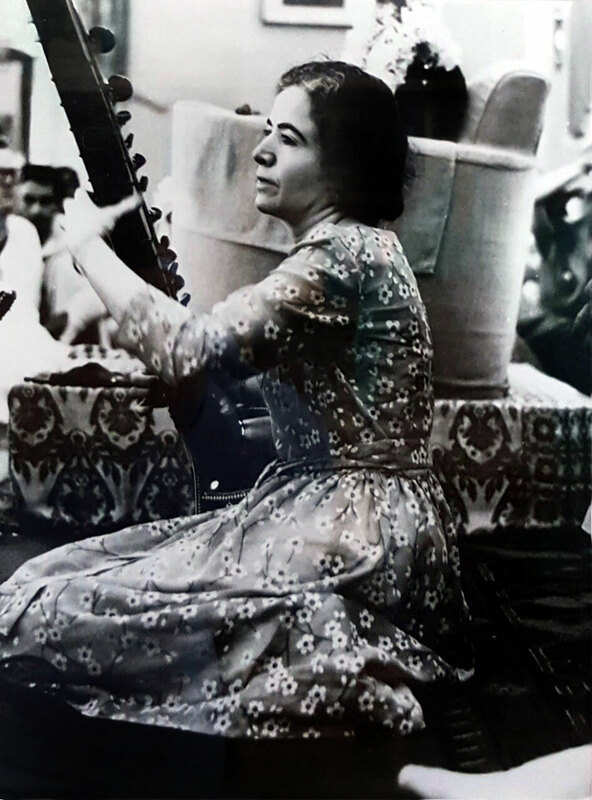 1969 : Mani Irani playing the sitar during the Last Darshan programme at Guruprasad, Poona, India.